Lixoft is running a 1 day hands-on workshop on advanced Monolix on Tuesday the 6th of June. The course is designed for modelers with already a good knowledge of Monolix, who wish i) to better understand the methods, the algorithms and their options, ii) learn how to implement complex models, iii) improve their strategy for model building. The course will consist of both lectures and hands-on sessions with Monolix. A dedicated Q&A hour session will be proposed. Estimation of the likelihood function: linearization versus importance sampling Monte Carlo. 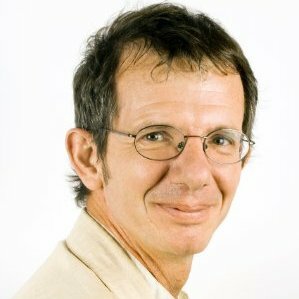 Prof. Marc Lavielle is a Research Director at Inria. Marc Lavielle is a statistician specialized in computational statistics and healthcare applications. Marc is responsible for supervising the collaborative research program between Inria and Lixoft. He created and directed the Monolix team at Inria. Marc Lavielle is also the creator of the SAEM estimation algorithm, which was a breakthrough for the study of mixed effect models in drug development. Marc Lavielle is also a member of the French High Council of Biotechnologies, where he is promoting and studying the application of sound statistical methods to evaluate health and environmental risks related to Genetically Modified Organisms.